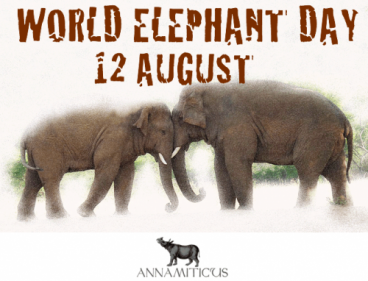 #GoGrey for World Elephant Day Today! Home → #GoGrey for World Elephant Day Today! 1. Get the word out to your followers and friends on Twitter, FB, etc. 2. Take and share a greyscale (black and white) selfie and tag it with #GoGrey. 3. Turn your social media profile pictures and backgrounds to greyscale. 4. Wear grey: grey clothes, grey ribbons, grey hair. You get the picture. 5. On Tuesday, August 12, watch as everyone’s messages are shared in celebration of elephants! Learn more about the plight of elephants and what you can do to help at 96elephants.org/wed.